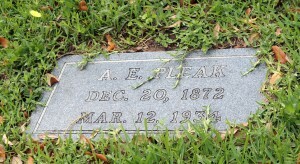 Pleak was named after a real estate agent, A.E. Pleak, who donated land for the school, which was built in 1912. The first families to move to this area were the Fred Martins & John Iselts. Mr. & Mrs. Joe Sitta opened the first business, a grocery store in 1924. In 1932 they opened a service station. In 1933, Wilbur Krenek built a cotton gin. This gin was operated by the Krenek family for 68 years, closing in 2001. In Aug. 1979 this area was incorporated as the Village of Pleak. Willie Poncik was the first mayor & served until May 31, 1999 when he resigned leaving 2 years on his 4 year term. Cayetano Silva was elected in a special election to finish out this term. In 2001, when he chose not to run again, Margie Krenek, became the third mayor and served until July, 2011. The Village of Pleak has a mayor & 5 aldermen, with 4 year terms each. City Council meetings are held in the Village Hall , 6621 FM 2218 South, every third Wednesday of the month at 7:00pm. With no post office in this incorporated area, the citizens have 3 different addresses, Needville, Richmond, & Rosenberg. There are also 2 different school districts, LCIS Dist. and the Needville School Dist. This is a rural area, growing cotton, grain, & cows, but in the 21st century, it’s becoming bedroom communities for commuters to the Houston area. We are embracing our growing pains and have a lot to learn from the larger communities in Ft Bend County. Hence our motto:” a small village with Big Expectations.